Following months of planning, a unique cooperation between MSF and German NGO, Christian Blind Mission (CBM) led to a successful Eye Surgery camp at Boguila hospital, in the remote northwest of Central African Republic. The treatment was provided completely free of charge to the patients, and over a two-week period, 53 people had their sight restored through surgery. Pre-screening of patients in advance of the camp was carried out by MSF’s Nurse Supervisor, and a register of potential candidates for surgery was drawn up. 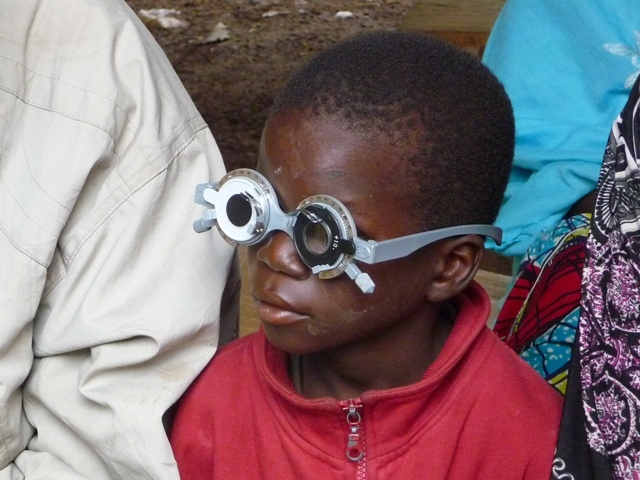 In mid-June the four-person CBM team arrived in Boguila, led by ophthalmologist, Dr. Yacoub. The CBM team worked late into the evenings to ensure that everyone who had turned up was seen. “They were very committed. At one point, Dr. Yacoub was doing consultations by candlelight,” says McKenna. In total 53 people, mostly suffering from cataracts, were deemed suitable for surgery. Other patients identified as suffering optic nerve atrophy and retinal problems received medication.